These guys at Brisendine Motors truly made my wife&#39;s and my car buying experience the easiest it&#39;s ever been! First of all, when I called Matt (owner) about the car he had listed on the internet, he answered all my questions with very deep and broad car knowledge and I found him to be very honest with me. These are two things that are hard to find in the used car business at most dealers, so I was impressed. Then, after we drove around 3-hrs. to see the car, we were not disappointed with either the car or Brisendine Motors. It was a clean, well kept, 1-owner car that was priced very competitively. My wife really liked the car, Matt valued my trade-in car fairly, and we arrived on a mutually beneficial price difference that got my wife in the car within a very short time-frame. My wife even commented to Matt how laid back and low pressure the process was and she told him it was one of the very few car-buying experiences she has ever enjoyed. She also commented on Brisendine&#39;s office having a very laid back, &quot;homey&quot; feel that looks more like someone&#39;s den, with a TV, fridge full of soft drinks and water, that makes you feel relaxed and taken good car of. Matt&#39;s partner, Barry, was great too, as he was quick with the paperwork and we were on our road trip home in my wife&#39;s new car in a very short while. I don&#39;t leave many reviews, but my wife and I had such a pleasant time buying our car from Matt and Brisendine Motors that I wanted to let others know that you can trust these guys and they are definitely worth the drive to Helena, AL to see their nice used car inventory. Also, I noticed Matt had a lot of good looking late model trucks on his lot when we bought my wife&#39;s car, so I&#39;ve now got him scouting his dealer sites for a truck (4Runner) for my son. That is a testament to my positive experience with Brisendine Motors, that I&#39;m planning on possibly buying a 2nd car (truck) from him. They are worth a visit if you see a car you like on their website! Thanks Matt, and thanks Barry! 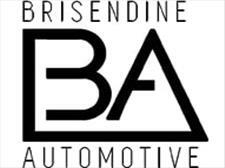 At Brisendine Automotive we are proud of the quality used cars we sell and our dedication to serve the needs of our customers. This is reflected in the amount of repeat business we receive. Whether this is your first purchase with us or one of many that you’ve had, you can count on our dedicated sales staff to make it the best buying experience possible.